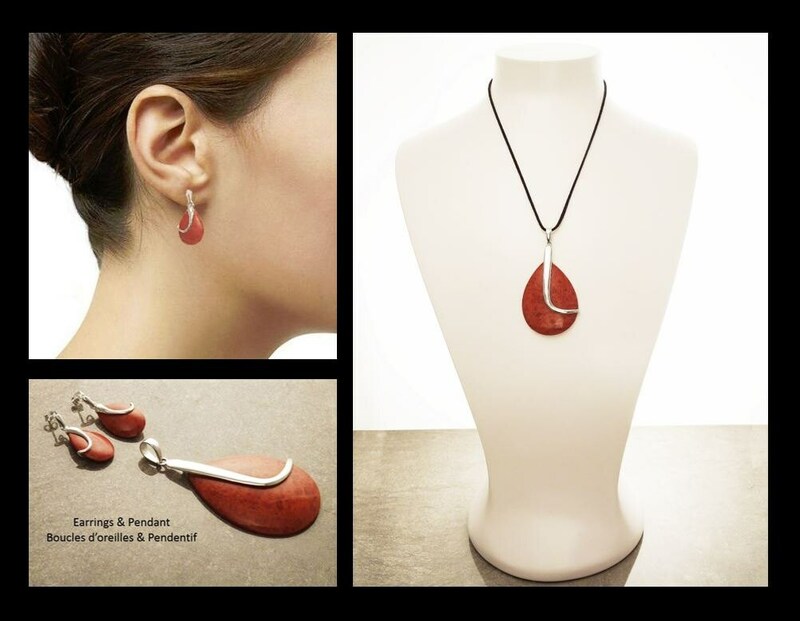 Red Coral Set - Synthetic Coral Set - Modern Sterling Silver Set - Teardrop - Red Set - Sterling Silver Set - Earrings and Pendant Set . 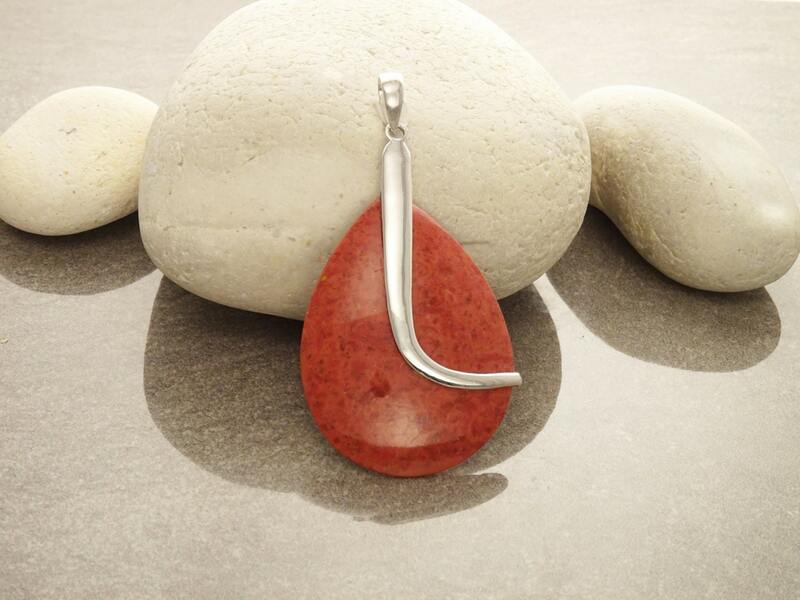 Modern and Chic in Design, this Sterling Silver Set is set with Red Synthetic Coral. 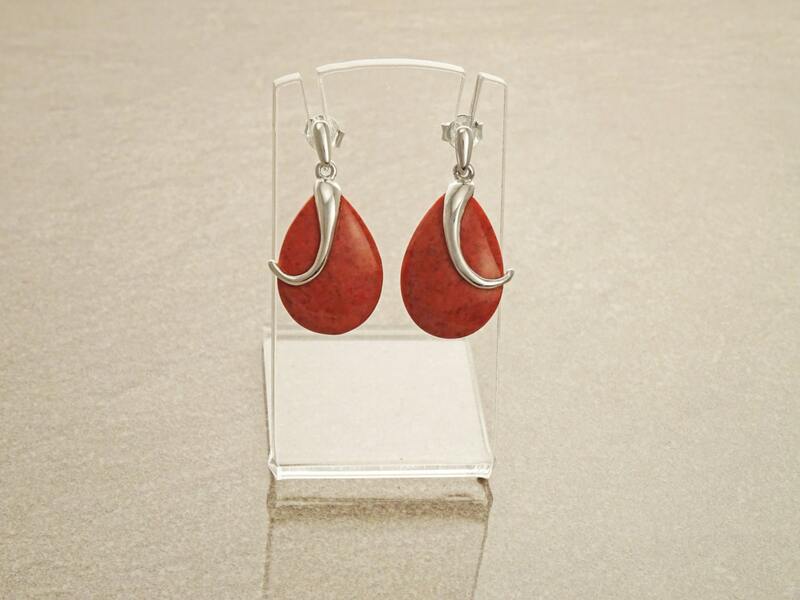 An easy-to-wear Set for any occasion. 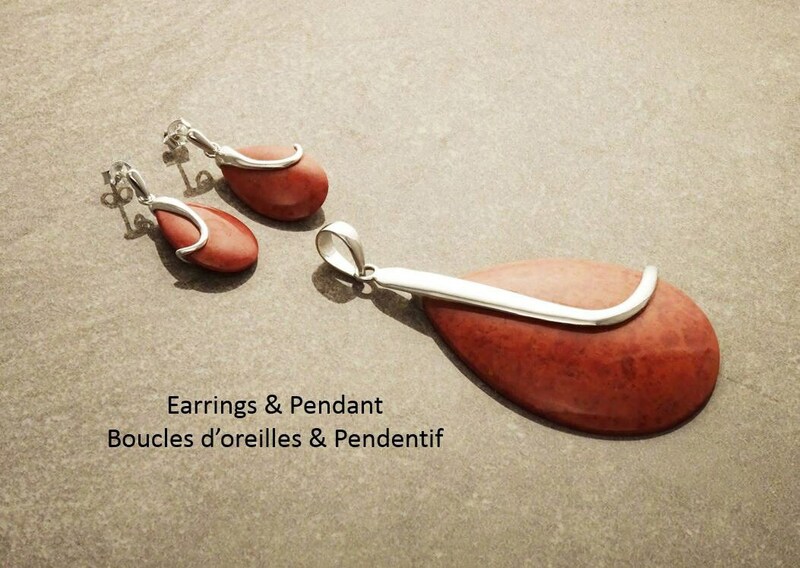 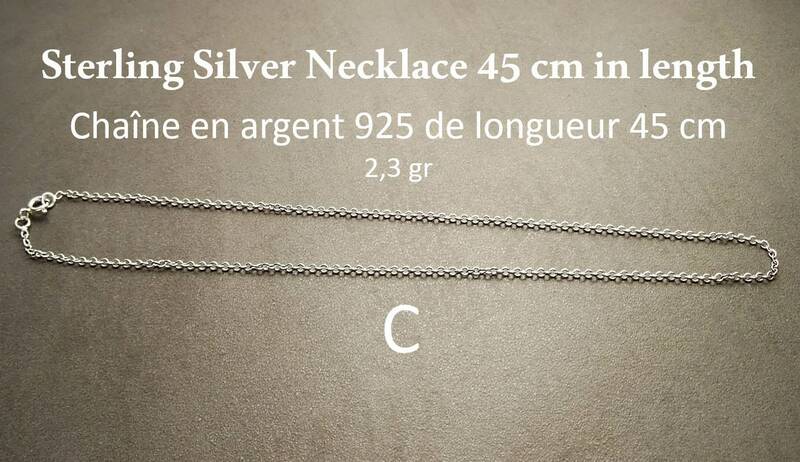 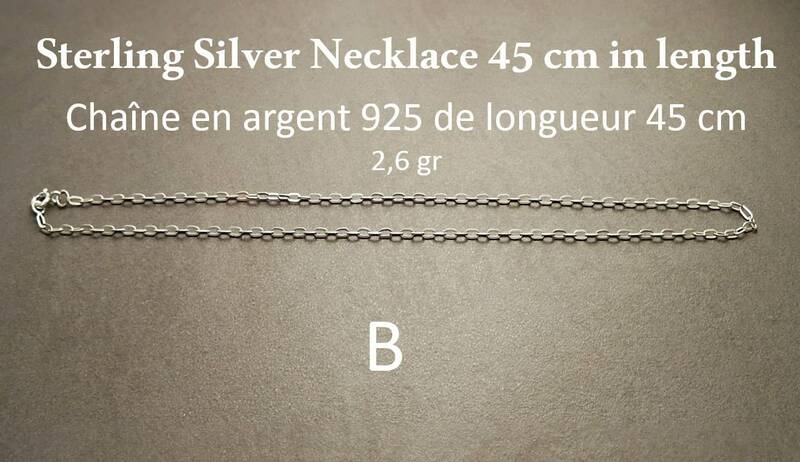 ►Each Pendant Earrings SET are made with Gemstone, so please note that the SET you receive may vary slightly from the one you see in the photo.